Carlyle Dental offers root canal therapy for residents living in Kinston, Goldsboro, Greenville and the surrounding areas of North Carolina. Root canal therapy is an endodontic treatment method for saving teeth that would otherwise have to be extracted. By preserving the functionality of a damaged tooth, rather than extracting it, Carlyle Dental can avoid creating a gap that will likely affect teeth alignment, and would require a bridge or implant. Although root canal therapy evokes a heightened sense of anxiety and fear in many people, in reality, it is an important and constructive treatment that can improve your dental health and overall well-being. Carlyle Dental specializes in treating patients with these dental phobias and general anxieties. Modern anesthesia, dental sedation, and other calming methods can be used to ensure that your procedure remains pain-free and comfortable throughout. What Symptoms Does Root Canal Therapy Relieve? The space inside the hard layers of a tooth is called the root canal system and is filled with nerves and blood vessels, called the pulp, which allow for tooth development and growth. If teeth become damaged or have deep cavities, bacteria can enter the pulp and cause an infection that leads to an abscess. Serious oral health problems may occur as a result, including pain, tenderness, sensitivity to heat or cold, discoloration of the tooth, and swelling in the lymph nodes and nearby bone. Root canal therapy in Kinston, NC and Greenville, NC is accomplished using a local anesthetic that freezes the area surrounding the tooth, which is then opened to access the root canal system. Infected pulp is removed, and the canal is cleaned and shaped. Dr. Carlyle then fills the canal with a special material and seals the opening with either a temporary or permanent filling. Depending on the location and strength of the tooth, a crown or other restoration technique may be applied to further protect the tooth and restore functionality. Once root canal therapy is complete, the tooth continues to function normally like any other tooth. Although residents of Kinston, NC and Greenville, NC may be experiencing pain caused by pulp inflammation and infection, advanced root canal damage may still be occurring without any noticeable symptoms. Regular visits to Carlyle Dental will help with early detection of problems that might require root canal therapy. How Much Does Root Canal Therapy Cost in Kinston, NC? 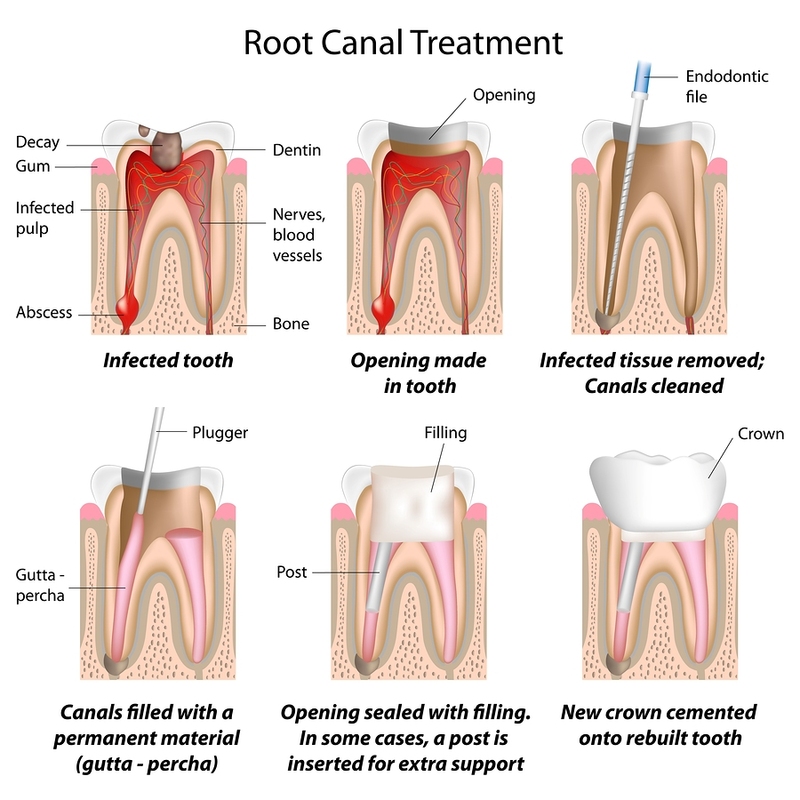 The cost for root canal therapy varies and depends on the extent of treatment necessary. We accept cash, MasterCard, Visa, and personal checks. Insurance is accepted, and we also have financing available through CareCredit® and Compassionate Healthcare Services®.